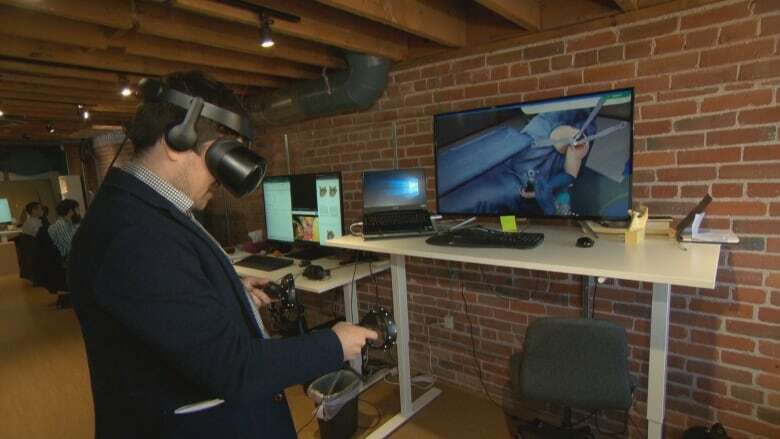 A Vancouver-based company is using virtual reality to teach a new generation of orthopedic surgeons in North America. Six medical programs around North America — including at the University of British Columbia — will soon add the technology, called Precision OS, to their in-class studies. 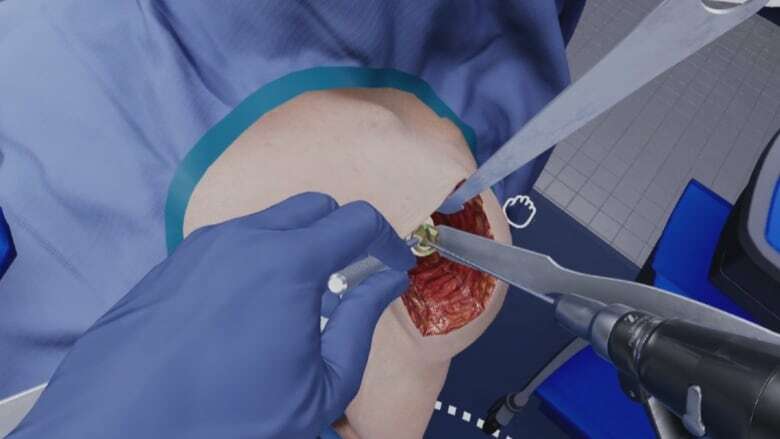 "Some of the younger students, some of them have never used a drill before going in," says Roberto Oliveira, one of the founders of Precision OS, who believes virtual reality is a way to bridge the gap between theory and real surgery. "Anything we can do to prepare them and get them as close to the real things as possible." The virtual reality technology puts trainees inside the operating room. A headset and handheld sensors use audio and visuals to simulate the environment. When a student reaches for a tool, they can see a computer-generated version of their hand reaching for the tool in a 360-degree world. The software includes different modules that allow students to make decisions — and mistakes — and learn from them, eventually improving their skills through repetition. At UBC's medical school, students have already had the chance to get their hands virtually dirty. Orthopedic surgery resident Ryan Lohre says VR helps him actively participate in what he is learning. "I get to interact with the patient and I get to actually use the instrumentation, which are very realistic compared to what I'm going to be actually using in the operating room," says Lohre. The team at Precision OS says they've put a lot of work into creating an authentic experience of the operating room, going so far as to create the virtual tools with files from the manufacturers. Orthopedic Surgeon Danny Goel, who works with Precision OS, says practicing with VR offers students more performance information than they would receive on a real body. "You're given visual-tactile, as well as audio feedback," says Goel. "The key is, I get data showing that I'm off by so many millimetres in so many degrees." In the simulated environment, a menu offers users constructive criticism and allows them to repeat the procedure before moving on. Staff at Precision OS have worked years to develop the technology and refine it with user feedback.